SneakPeeks are a TOC webcast series featuring a behind-the-scenes look at publishing start-ups and their products. Every SneakPeek includes presentations from 3-5 companies in pre-release mode, so attendees will be among the first to get more details on each of these upcoming products and platforms. The inaugural SneakPeek webcast includes presentations from 24symbols, Valobox, Appitude, Active Reader and OnSwipe. Justo Hidalgo is co-founder of 24symbols, a platform that offers readers the ability to read and share digital books in the cloud, working in any reading device with internet connection and that gives users access to an international and multi-publisher's catalogue. He is also a part-time Product Strategy and Innovation consultant at Denodo, and teaches Product Strategy and Innovation at the Master's Degree in Industrial Design of Nebrija University, and Technology for Managers at the Nebrija Business School in Madrid, Spain. Justo is member of the Internet Society and Mentor at the Startupbootcamp accelerator. 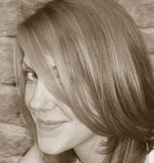 Anna Lewis co-founded the book technology company CompletelyNovel with Oli Brooks in 2008. Since then, they have created CompletelyNovel.com, a community powered book-publishing platform bringing modern publishing tools to an online network of readers, writers and publishers. Their latest venture is ValoBox, a fresh approach to eBooks which combines a pay-as-you-go reading platform with an exciting social retail model which will put customers at the heart of book selling. In 2010 Anna was a finalist for the UK Young Publishing Entrepreneur Award and over the past couple of years she has also managed the Author Blog Awards, the 24 Hour Book Project and a number of other collaborative projects. Her favourite book is Catch 22 and her reading snack of choice is flapjack. Vj Anma, Founder and CEO of Appitude, is an entrepreneur who has been involved in many web application and mobile startups. 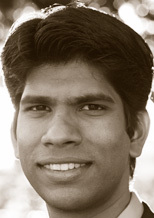 Vj is the founder and CEO of Iqubate Inc, an incubator focused on developing iPhone applications. Before that, Vj worked at Amazon in the Supply Chain department where he helped save over $34 million in shipping costs. Before joining Amazon, Vj was founder and CEO of Avezah Inc, creating graphical summaries of business books. Vijai Anma holds a master's degree in Computer Science from the University of Illinois at Chicago and a graduate of the Singularity University. 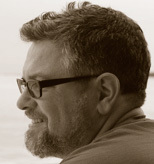 Dan has +20 Years experience in cutting edge media, software development and digital media pipelines. Crystal Dynamics, T.E.N., Maxis/EA, NBC, Director of Digital Media for The Kenwood Group, President of Lamplighter Studios, Executive Producer of Social Gaming Network. Photographer, Cook, former Merchant Marine. Jason L. Baptiste is currently the CEO/Co-Founder of Onswipe, which provides a platform for platform insanely easy publishing on touch enabled devices. OnSwipe is backed by Spark Capital, Betaworks, SV Angel, Morado Ventures, ENIAC ventures, and a great group of top tier angel investors. Jason is also an author for a forthcoming book being published by the Portfolio imprint of Penguin books. Jason is also the co-author of OnStartups.com, a popular blog and community for entrepreneurship with over 200,000 monthly unique readers. 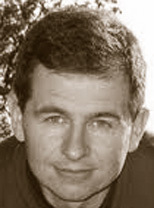 Jason was previously the co-founder of Cloudomatic, which was acquired in 2010. 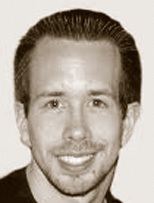 In his spare time Jason is an advisor of startups and an avid runner. Jason received a BS from the University of Miami in Computer Information Systems. Jason currently resides in New York City.